Whether you are vegetarian, vegan or just looking for healthy, convenient and delicious meals that are ready to eat and packaged to go, Sprout is the perfect solution! Sprout makes a full menu of home cooked style meals every week including hot meals, salad bowls, snacks, desserts and breakfasts. 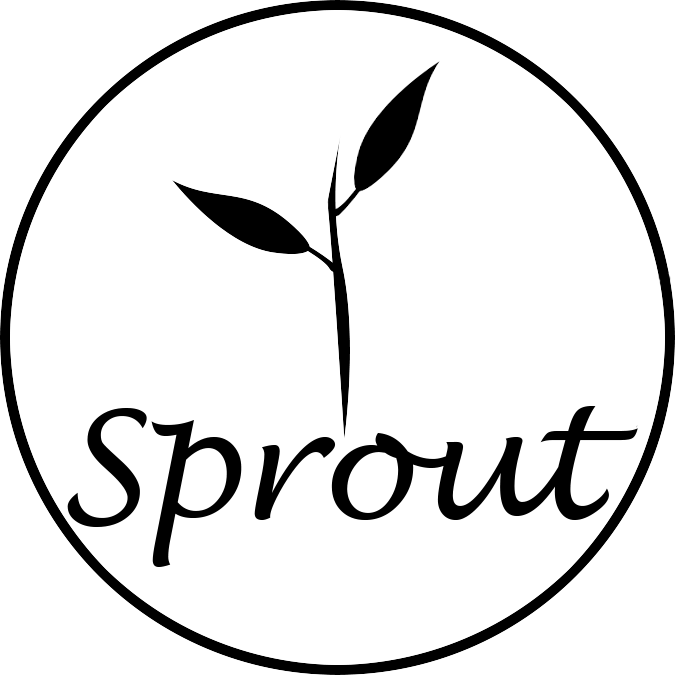 Sprout was founded in 2015 by a registered Holistic Nutritionist who wanted to promote a diet made with whole food natural ingredients. 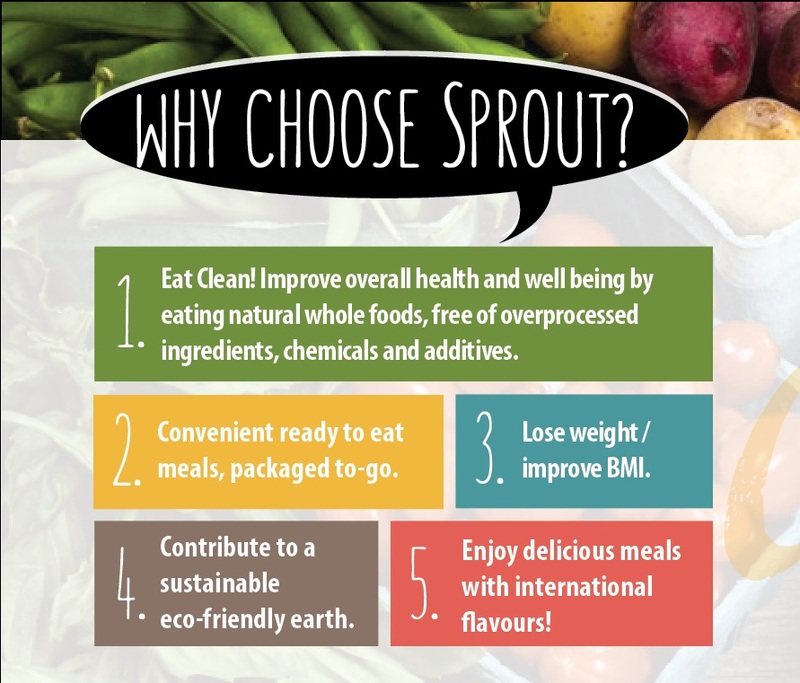 Sprout avoids the use of processed and over-processed ingredients because we believe that a healthy clean eating diet is the best way to improve and maintain your overall well being as well as part of a performance nutrition regiment for athletes. Sprout delivers food everywhere in Korea! Our postal delivery is shipped overnight every Monday. 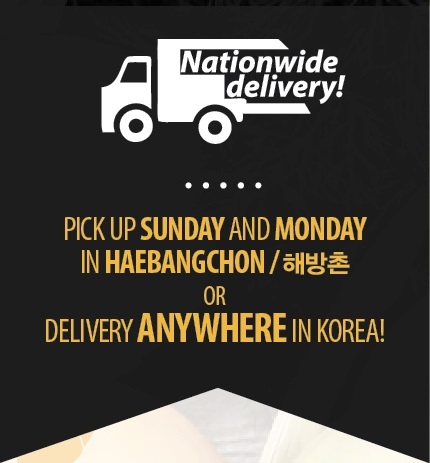 If you’re in Seoul you can also pick up your order in Haebangchon (HBC) on Sundays and Mondays between 3 – 8pm. Around Seoul we also offer express bike delivery and Group delivery options. No matter where you live in Korea you can enjoy healthy and delicious meals every day! The Sprout healthy food menu is published every week on Tuesday. Each week we change the menu to keep your meals diverse and satisfying, never boring! Sprout is committed to the environment and sustainability. All containers used by Sprout are recyclable. We also take back all the containers, ice packs and cooler boxes to recycle and reuse! If you are a delivery customer we have a couple of options to return your containers. If you are in Seoul and receive your order on Sundays you can give your containers to the Sprout delivery driver. Postal delivery customers can place the empty containers back in the cooler box and mail back to us.